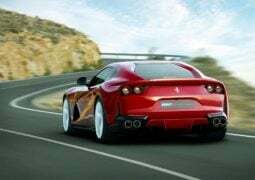 The all-new 2018 Ferrari 812 Superfast can reach a top speed of 340 km/h! 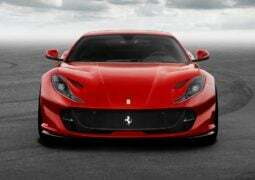 The latest V12 powered Ferrari replaces the F12 Berlinetta and offers a more powerful and sophisticated replacement. 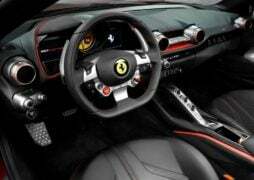 Ferrari is one of the most popular brands in the world. Despite an average sales of just 25 cars in India each year, the brand is quite popular in India. Comparing the number to our neighbouring nation China, Ferrari sold over 700 cars there last year. The Italian brand’s favourite market is the USA though where it sells about 8,500 cars each year. Known for their striking red colour and the racing heritage, Ferrari continues to offer one of the best sports cars on the market right now. 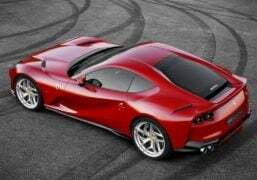 The new 2018 Ferrari 812 Superfast replaces the F12 Berlinetta in the global market offering more power and sophistication than the previous model. 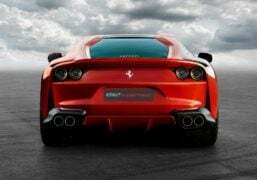 Read along to know all about the new Ferrari model. 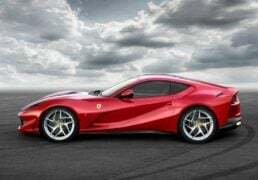 One of the most powerful Ferrari’s ever, the 2018 Ferrari 812 Superfast has been launched in India at a starting price of INR 5.20 crore ex-showroom. The registration fee charged for such premium vehicles averages around 12-13% amounting to a total of INR 67 lakh! But, the customers buying the premium vehicle in Mumbai can benefit from the maximum amount cap of INR 20 lakh. This translates to a discount of over INR 47 lakh! Do you agree with the Maharashtra government’s policy to register premium cars at a discount? Leave your comments below. The 2018 Ferrari 812 Superfast carries forward the legacy of the F12 Berlinetta. Under the hood is a revised version of the old V12 engine making 789 bhp of max power and 718 Nm of peak torque. The latest Ferrari features several new technologies and driving aids like ‘Slip Slide Control’ that allows you to adjust the max angle of drift according to your preference. If the car goes over the desired angle, the traction control kicks in and sets everything straight. The engine sits in the front powering the rear wheels only. 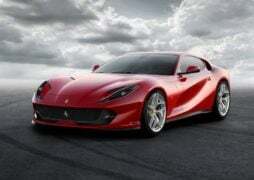 The 2018 Ferrari 812 Superfast boasts a top speed of 340kmph! The 2018 Ferrari 812 Superfast is wide, agile, edgy and absolutely stunning. Featuring evolutionary design, the new 812 features a lot more aggressive design elements. The latest Ferrari also gets a host of active aerodynamic components in the front bumper, underbody and the rear diffuser to aid downforce. We particularly liked the stretched aggressive headlamps with the set of slits right above to aid airflow towards the engine. The rear to features a strong presence with the quad brake lights and tailpipes taking inspiration from a jet fighter’s design. Also Read – 2018 Lamborghini Urus SUV launched in India! 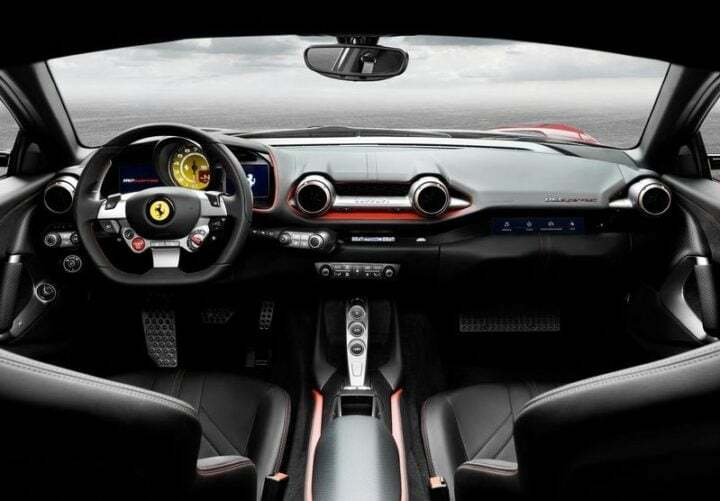 The interior features a typical Ferrari layout with the maximum controls sitting right on the steering wheel. The centre console features a neat design with the music and aircon controls centred towards the driver. The co-passenger enjoy a secondary display which provides you with various information like music, GPS controls and even the vehicle’s details like RPM and speed. There’s seating space for four passengers and the seats offer the right set of padding and cushioning to support the aggressive driving style. 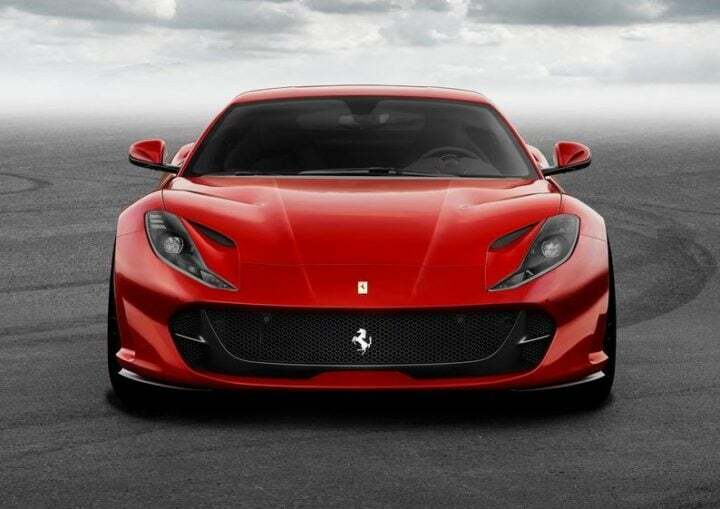 In India, the newly launched grand tourer from the Italian automaker, the 2018 Ferrari 812 Superfast offers 2+2 seating. Similar GT cars available in India include the Aston Martin DB11 and the Bentley Continental GT. Stay tuned for more info on upcoming Ferrari(s) in India.